Are you wondering how you will survive the upcoming holiday season with your ex-spouse as co-parents? For newly divorced individuals, life is often chaotic. You need to settle into a new routine and heal a broken family. But just because you are divorced, it doesn't mean that the holidays have to be sad. Are you wondering how you will survive the upcoming holiday season with your ex-spouse as co-parents? For newly divorced individuals, life is often chaotic. You need to settle into a new routine and heal a broken family. Often you, your ex-spouse, and your child/ren are feeling hurt, sad and insecure. But just because you are divorced, it doesn't mean that the holidays have to be sad. At the beginning of my co-parenting arrangement, I was so stressed and conflicted thinking about how I would survive the holiday season with my ex-spouse. As parents, we sometimes forget that conflict and high stress can be very hard on our bodies. This in turn makes it much more difficult to focus, learn, rest, and openly love your child. It can become a competition if you are not careful. You worry how much fun your child will probably have at the other parent's home. This insecurity increases your negative emotions and creates chaos. What you need to remember, is that your child's heart has plenty of room to love everyone. 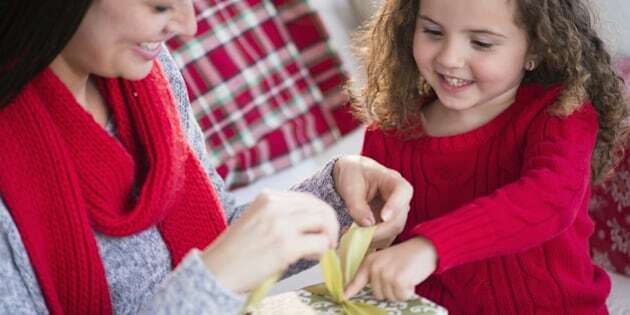 The easiest way to survive with your ex-spouse during the holidays as co-parents, is to stick to your co-parenting plan and keep your communication short, and have conversations related only to your child's needs during the different schedule specified on your plan throughout the holidays. After a lot of trial and error, we decided to no longer make it about our feelings for each other. The holiday was about making it special for our child. In learning how to do that, I found that the following 6 Tips helped me survive the holiday season harmoniously. 1. Co-parenting plan: stick to the plan, do not change it prior to the holidays when it's convenient for your needs only.Make it about your chid's well-being and their self-esteem. 2. Pick-ups and drop-offs: Just say hello to your ex-spouse, set aside your negative thoughts about your ex-spouse, make the pick-up or drop-off short, and acknowledge your child with a beautiful smile. 3. Focus: Keep communication to a minimum. Remember you are there to do-drop off or pick up your child. If your ex-spouse brings up any of the divorce issues, just listen and do not engage. You can be polite and wish happy holidays to the other parent. Schedule a text communication about the issues. 4. Differences: Set aside your differences. Stay civil and respectful, especially in front of your child. Remember why you are doing this. You are a parent first and foremost, and want to help your child feel loved, happy and secure. 5. Stay calm: Make sure you do not display any derogatory facial expressions, or use negative words to ridicule the other parent in front of your child. 6. Criticism: if you really want to survive the holidays, please don't criticize, just don't, it will make it really difficult to survive the holidays harmoniously. Surviving the holidays with your ex-spouse is really a choice, a choice of attitude and what result you wish to accomplish. Stay joyful, smile when picking up your child, and you will be able to survive the holidays with your ex-spouse as co-parents. Harmony is what you need in your daily life as well as in your family life. Parenthood is forever. Think Harmony. To the holidays harmoniously ! As a certified coach practitioner and co-parenting coach, I provide co-parenting tools to help parents build a strategy on how to improve and achieve a Co-parenting harmony outcome. My speciality is to guide divorced parents to transition from out of their spouse-partner's mindset, to a parent-mindset where they can co-parent in harmony for your child's best interest.